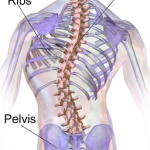 Back pain is pervasive and effects your everyday life. These stretches and exercises can help you with your back pain. We will also give you tips to adjust your life and change how you move to prevent the low back pain from coming back over and over again. The back extension is a great exercise to strengthen your low back muscles, however there are some subtle nuances you need to consider to make sure your doing it correctly and processing it safely. 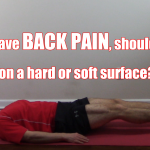 Episode 224 – If I have back pain should I lay on a hard or a soft surface? How Can I Stop My Back From Hurting When I Lift? How Can You Get Up Off the Floor When You Have Back Pain?